Details make the difference and this stunning Spanish-Mediterranean style home with an unobstructed backdrop of Lake Travis and Hill Country views does not disappoint. 3 Living areas, Chef’s Kitchen with Wolf Commercial Range and Oversized island. Elegant Master Suite with Morning Room, Wet Bar, and Fridge. Master Bath with 12 Jet tub, luxurious walk-in shower and couture-Worthy walk-in closet with remarkable storage. 3 car epoxy finished garage with built-ins. Resort style infinity pool and spa. 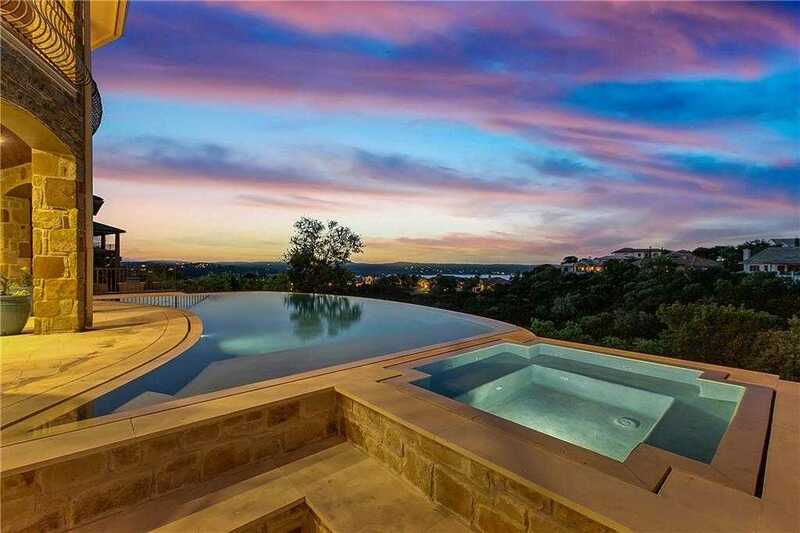 Please, send me more information on this property: MLS# 1492731 – $1,695,000 – 208 Barbuda Dr, Austin, TX 78734. I would like to schedule a private showing for this property: MLS# 1492731 – $1,695,000 – 208 Barbuda Dr, Austin, TX 78734.